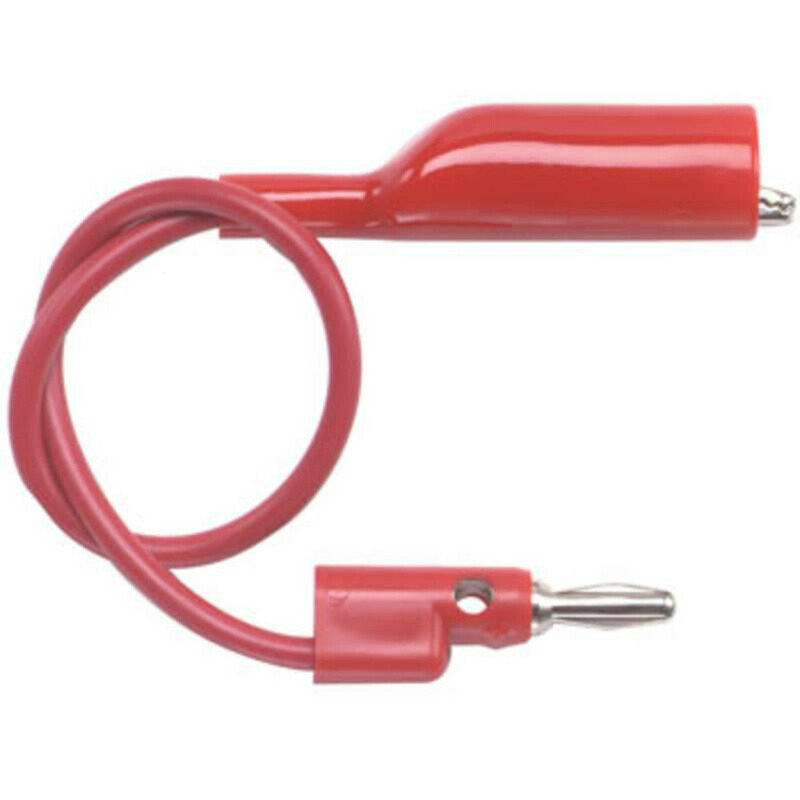 Pomona’s Alligator Clip to Stacking Banana Plug Patch Cord offers quick attachment to terminals up to .300” O.D. The patch cord features a medium size alligator clip with a flex boot for insulation protection. The banana plug spring is Beryllium Copper for long insertion life. The banana plug has vertical and horizontal stacking capability. The wire conductor has a high number of strands for excellent wire flexibility. The banana plug is molded directly to the wire for added pull strength.